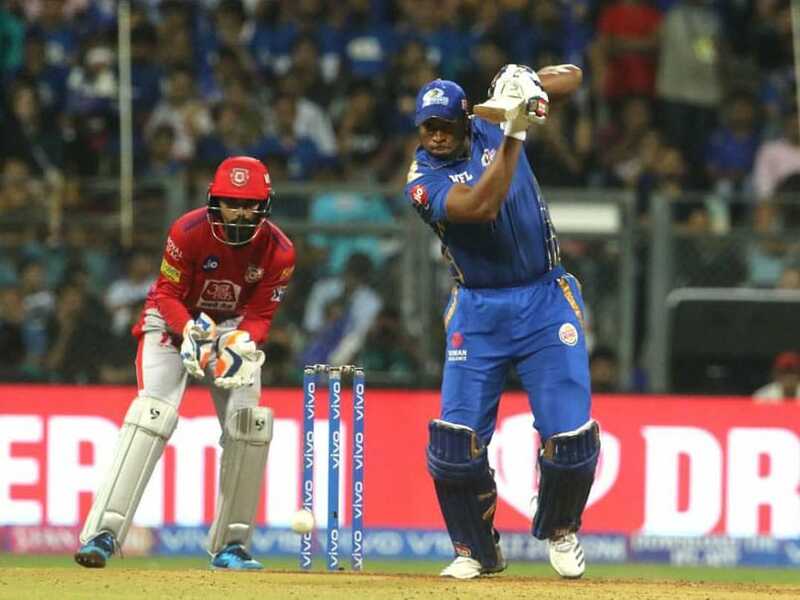 IPL 2019, Mumbai Indians vs Kings XI Punjab Highlights: KXIP scored 197/4 in 20 overs. 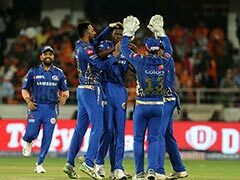 IPL 2019 Highlights Updates Between Mumbai Indians vs Kings XI Punjab, straight from Wankhede Stadium, Mumbai. 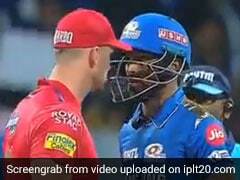 This brings us to the end of the match between Mumbai Indians and Kings XI Punjab in Mumbai. Thank you for joining us for the live IPL coverage. Kieron Pollard for his 83 off 31 is adjudged the Man of the Match. Joseph connects the ball and runs for 2. Mumbai Indians win by 3 wickets. 2 runs from the final ball. Rahul Chahar is the new batsman at the crease. Rajpoot strikes! He gets the wicket of Kieron Pollard. The MI captain departs for 83 off just 31 balls. David Miller at deep mid-wicket takes his 4th catch of the match. Pollard plays the ball towards fine-leg. Pollard smacks the ball over deep mid-wicket. Plus it's a no ball. Captain Kieron Pollard is batting on 73 off 28 balls. He bought MI back into the game. 16 runs needed from 8 balls now. Back-to-back maximums for the MI captain! This time he hits a massive six over long-on. Pollard is on rampage! He hits the second maximum of the over towards long-off. Pollard smacks the ball towards long-off. MI need 32 runs from 12 balls. Sam Curran will be bowling the 19th over. Joseph gets another boundary; this time towards deep extra cover. Mohammed Shami will be bowling the 18th over. MI are 158/6. Pollard is batting on 55 whereas Joseph is unbeaten on 5. Pollard smacks the ball in the deep mid-wicket region. With this, he brings up his 14th IPL half-century, 1st as captain. Pollard hits the ball straight down the ground. This was his 6th maximum. Sam Curran is back into the attack. He will be bowling the 17th over. Pollard to take strike. MI are 144/6. They need 54 off the last four overs. Joseph gets his 1st boundary in the fine-leg region. Alzarri Joseph is the new batsman at the crease. Shami strikes again! Krunal Pandya hits the ball straight to David Miller at extra cover. Shami bowls another one down the leg-side; this time to Krunal Pandya. MI need 60 runs to win from 29 balls. Shami bowls one down the leg-side. KL Rahul fails to collect the ball as Pollard and Krunal take a run. End of the time out. Shami to continue. Shami strikes! He gets the wicket of Hardik Pandya. The all-rounder fails to clear the ball over long-on as David Miller takes the catch. Mohammed Shami is brought back into the attack. MI are 135/4. They need 63 runs to win from 30 balls. Viljoen hasn't been hit for any boundary in his final over. Back-to-back maximums for Pollard. He dispatches the ball straight down the ground. That's a massive six! Pollard hits his 4th maximum. He hits the ball straight back past the bowler. Pandya hits the ball in the deep square leg region. MI are 109/4. They need 89 runs to win from 42 balls. Viljoen bowls one outside off. Pandya clears the ball in the backward square leg region.